This highly refined "Kurobara" (black rose) brand camellia oil has been produced in Japan from the same recipe for over 80 years. It is commonly used to protect blades, swords, knives, plane irons, chisels and many other metal objects from corrosion. 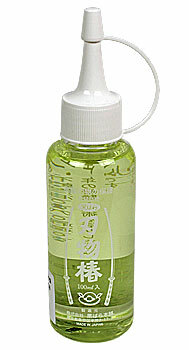 It can also be used as sewing machine oil! 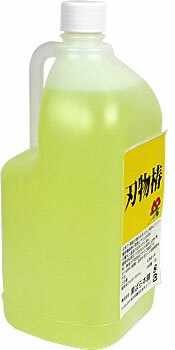 Kurobara camellia oil is acid-free and very pure. It has a neutral taste, is odourless, doesn't dry and is non-toxic, so it is highly recommended for protecting kitchen knives. Oil contains small amounts of liquid paraffin and a yellow dye that helps to stabilise the colour. It is not an edible oil and therefore not fit for human consumption! Same maker and quality as above! This environmentally friendly pump spray is very practical and versatile. Easy and clean way to protect your tools! This oil is the same extrafine lubricant made to Starretts specifications and used in their factory to lubricate and protect precision measuring tools and instruments. It is also perfect for all mechanics, homeowners, hobbyists and sportsmen who require the finest all-purpose oil. 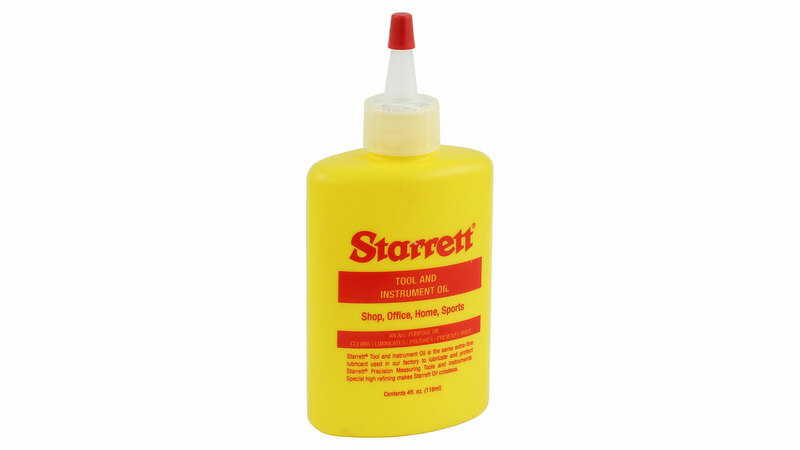 Special high-refining makes Starrett Tool and Instrument Oil colorless; ensures thorough lubrication of close-fitting parts at high temperatures and below zero; and provides a strong lasting film over all areas requiring protection against rust. This oil has not been adulterated by additives for color and odor. Ideal in the shop for maximum protection and lubrication of measuring tools; to guard highly finished tools, parts, machine surfaces against rust. Around the home for lubrication sewing machines, bicycles, hinges, locks and lawnmowers. Ideal for fishing tackle and other sporting equipment. 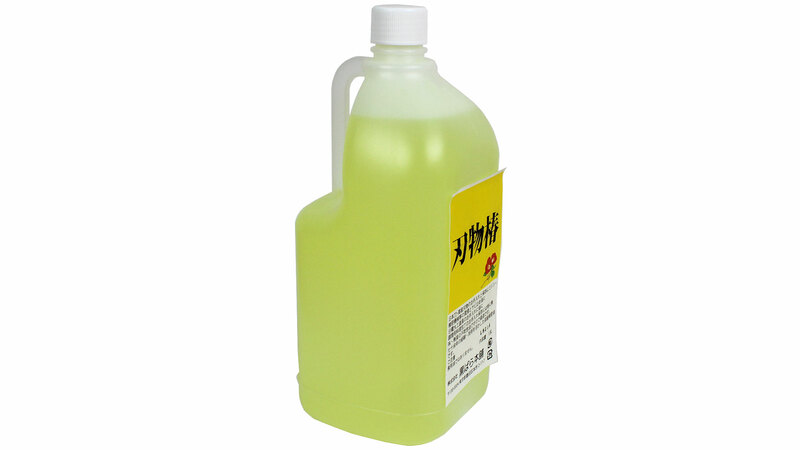 More than 100 years old, and originally developed for the German imperial army, this oil has many advantages. Most importantly, it is safe for people and pets! Tool maintainance: Ideal to protect your woodworking hand tools and Japanese kitchen knives. 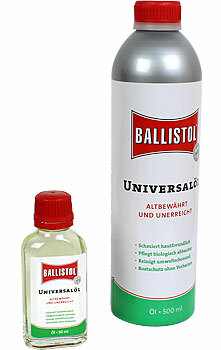 Metal: This oil is widely used in the precision gauge and tool industry. It provides a protective film on the surface of metals.Due to its surface tension it is capable of creeping into the tiniest cracks and fissures of metal surfaces. It dissolves lead, copper and tombac. It cleans and makes silver and brass shiny. Cars, trucks, motorcycles: to keep car door locks from freezing, to stop corrosion from salt and water, to clean and brighten up chrome, to remove tar and insect stains. Wood: protects and preserves all wooden surfaces. 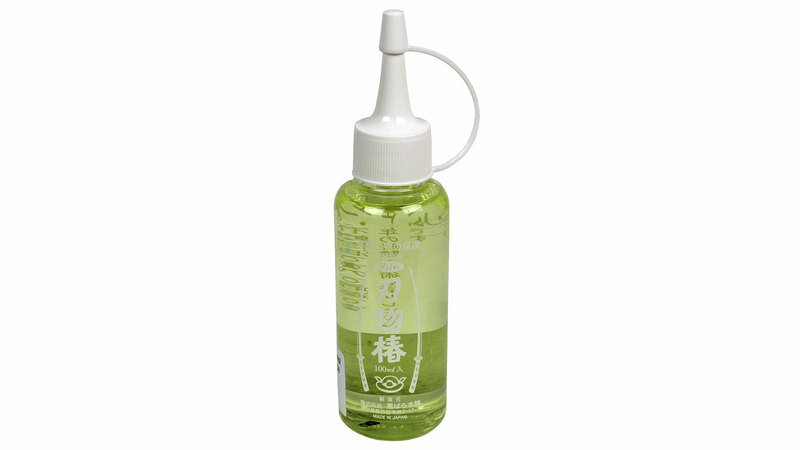 It enhances the woodgraining and protects against humidity and insect damage. And much more: around the house and in the garden to lubricate hinges, door locks, pocket knives, bicyle chains, to lubricate and maintain garden tools, to clean and soften leather boots. The new WD-40 Smart Straw comes with a permanently attached straw. The WD-40 Smart Straw's contemporary sleek design delivers product quickly and efficiently and ensures you will never lose the straw again! 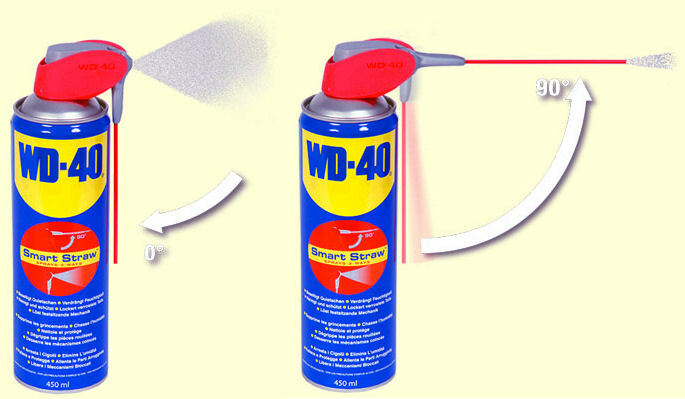 WD-40 Smart Straw sprays two ways (picture): simply flip the straw up for a precision stream for hard to reach jobs and fold it down for a regular wide spray action to cover a larger surface area. 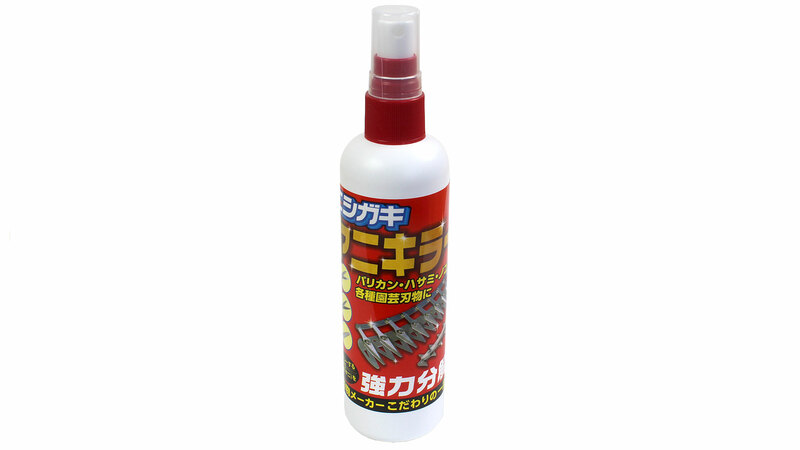 Removes resin and sap residues from tools. Simply spray on garden tools such as pruning saws, hedge clippers and garden scissors and allow to take effect for a few minutes. Then wipe off with a brush or sponge. Also suitable for resined carpentry saws, even ones with fine teeth. 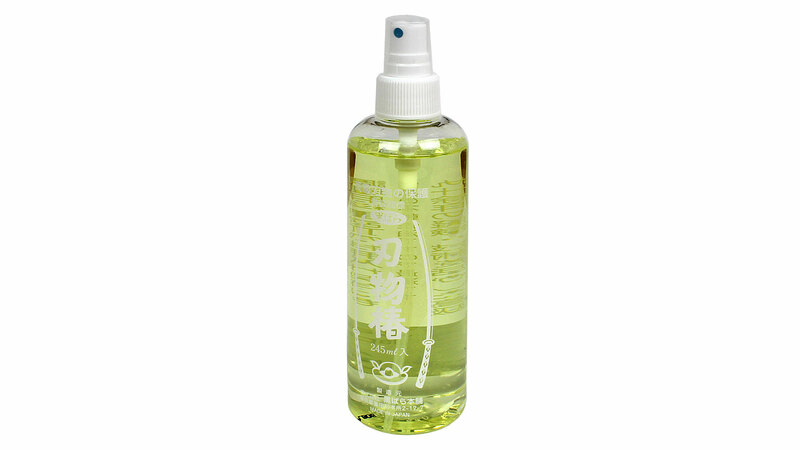 We recommend that tools are oiled after cleaning, eg, with camellia oil. Precautionary measures: Wear leach-resistant gloves and safety goggles! To clean woodworking tools such as saw blades, router bits, plane blades, chisels and woodworking machines. Simply spray the resin remover on the tool and wipe off after a few minutes. Repeat if resin persists. Residues can be flushed away with water. Dry thoroughly. 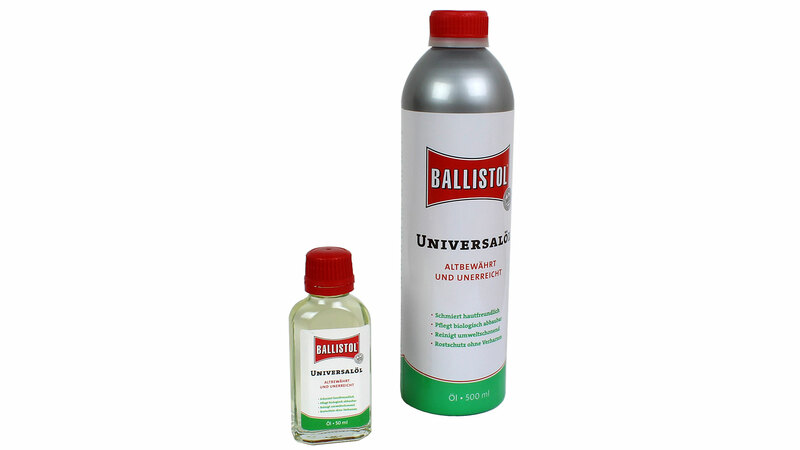 Then neutralize resin remover with oil (i. e. Ballistol oil) to achieve rust protection. Wash hands thoroughly after handling! Wear protective gloves, protective clothing, eye protection and face protection. Important: Irritating to eyes and skin! To be kept away from children! More in the Safety Data Sheet! 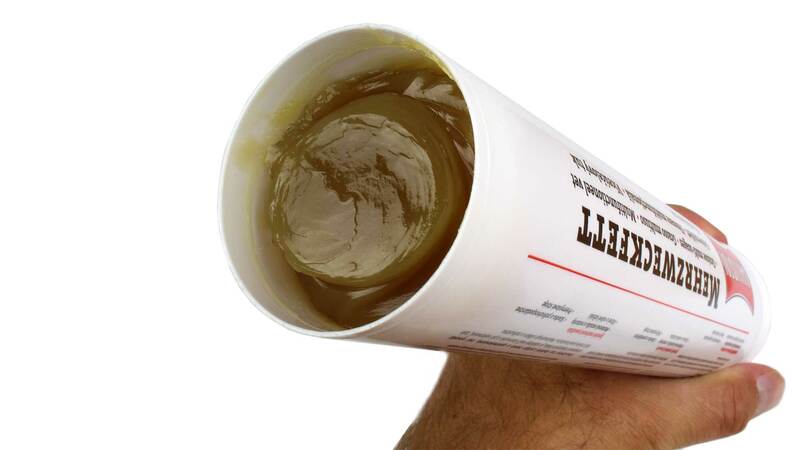 This multipurpose grease offers reliable long-term lubrication and good sealing properties and it is easily distributed by central lubrication systems. It is stable in wet and dusty environments as well as in cold and hot water. Operating temperature range -25 to 125 °C. The cartridge size of 235 x 35 mm means it fits all standard grease guns. Safety data sheet (PDF, in German)! Dry lubrication of metal surfaces is indispensable for planers, circular table saws and milling machines to allow workpieces to glide smoothly across the machine table. This sliding paste forms a clear lubricating film when applied to degreased machine tables. At the same time, the surface is protected against rust. The paste contains no graphite or silicon. Stains, oils and varnishes are not affected. 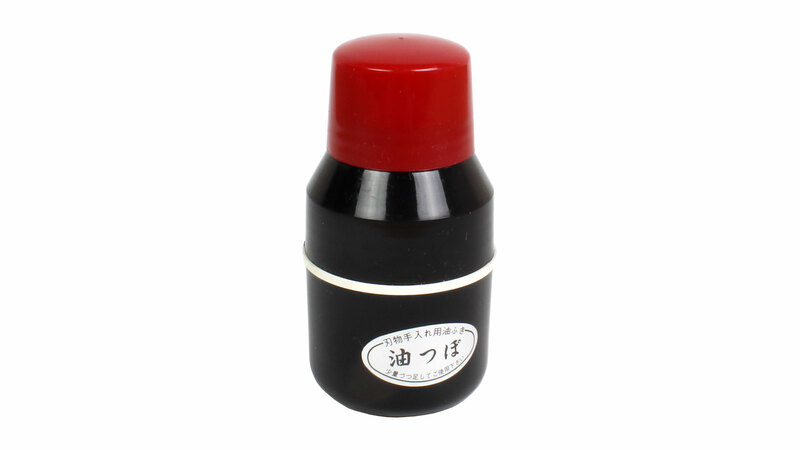 It is also suitable for wood drill bits! 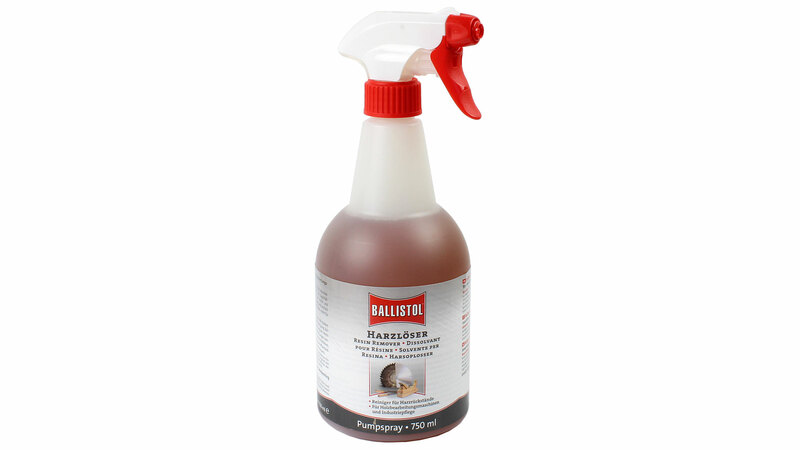 Ballistol sliding paste prevents adhesion of resin and stops drill bits from squeaking. If you apply the paste to the soles of steel hand planes, they will glide much more easily over the workpiece. 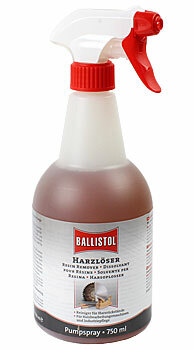 This wood lubricant spray provides a pure dry lubrication that prevents dirt from adhering or being attracted to wood. When applied to degreased machine tables it forms an invisible, dry and residue-free film. 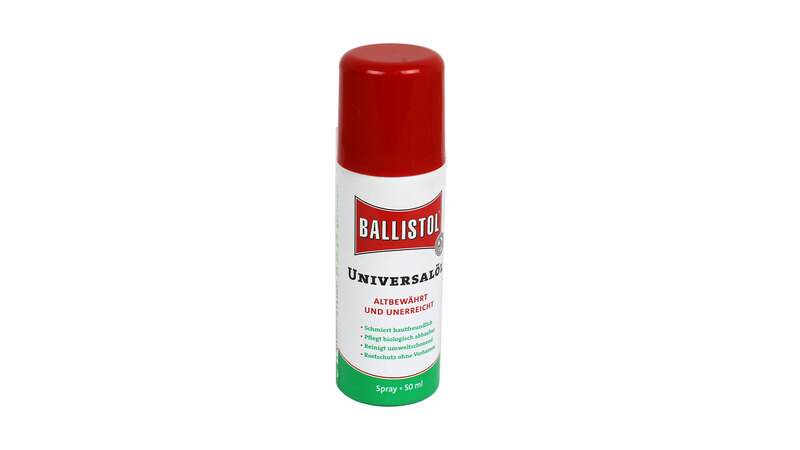 The spray is simple and safe to apply; it can also be used to refresh the antifriction paste offered above. Wood drills will run more quietly if sprayed before use. Wood that is subsequently treated with stain, oil or paint will show no ill effects from being exposed to this spray. Free of silicone and graphite! Application: shake well before use. Spray the parts you want to treat from a distance of 10 to 25 cm and wait a few minutes for the spray to dry.